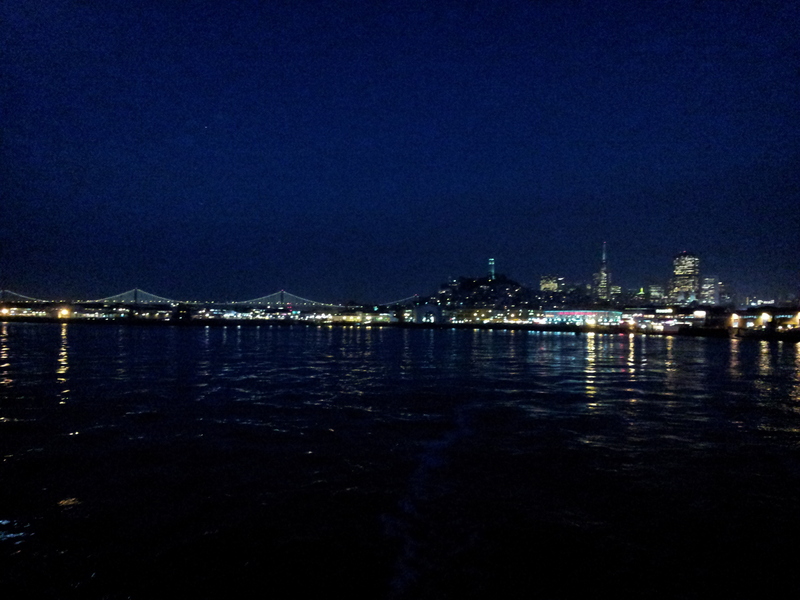 The San Francisco skyline observed from the Bay was glistening at twilight. The Golden Gate Bridge, San Francisco Bay Bridge, San Francisco Ferry Building, Coit Tower, Treasure & Yerba Buena Islands, AT&T Park, and the lights of Alcatraz could be seen from a distance. The bright lively city glowed from a distance; the view was spectacular. There is something special about being on the water. I think I could live on a boat. I would much rather be on the water than on land. I’m somehow connected to the sea in a weird and wonderful way. 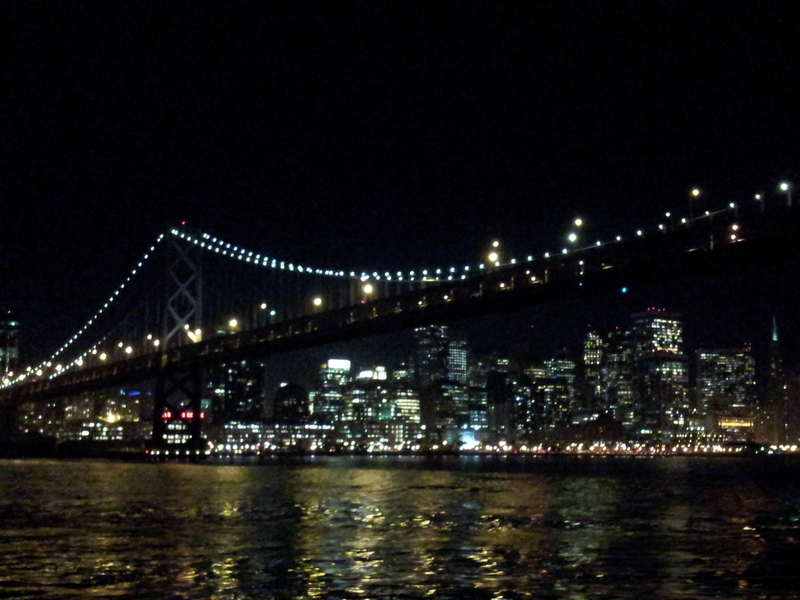 Seeing San Francisco at night from a boat was the perfect tour for me. With the city illuminated from a distance I was given yet another reason to fall more in love with San Francisco. 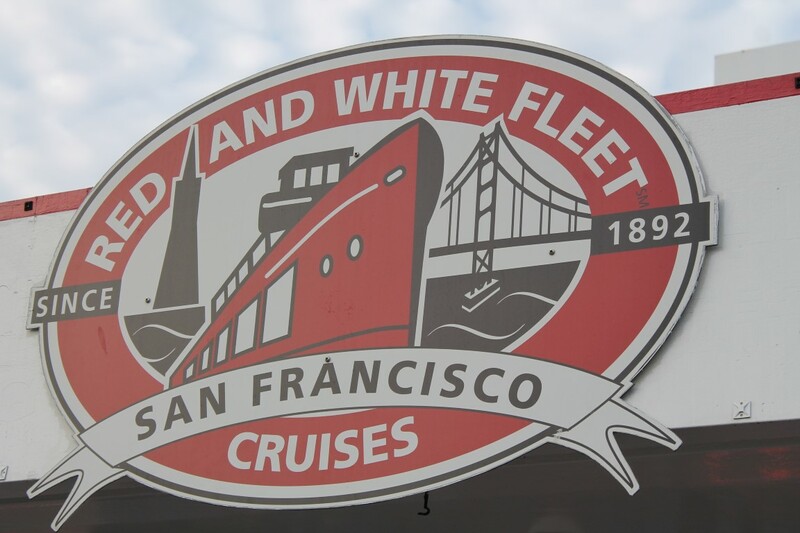 The Red and White Fleet – Twilight Cruise was spectacular. Once aboard the Harbor Queen I was provided with a complimentary soda, beer, or glass of wine. With a drink in hand I departed the dock to set sail to the moon light. 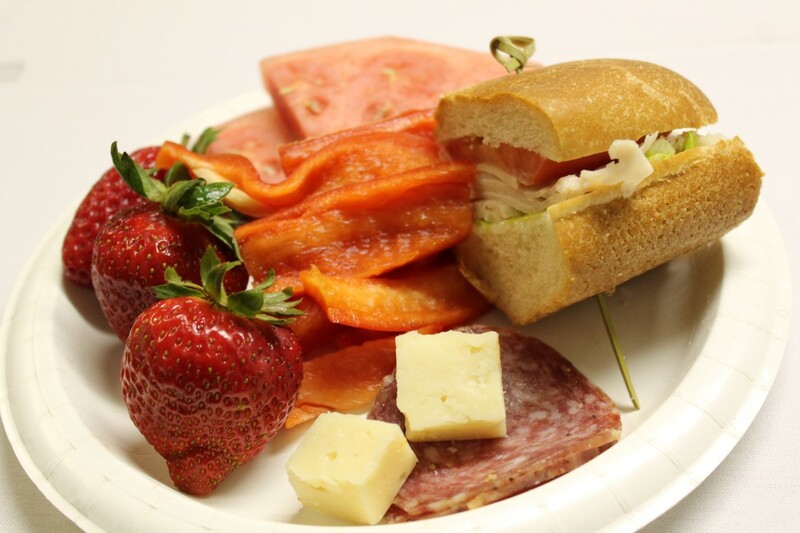 During the cruise, a complementary buffet of fruits, vegetables, salads, sandwiches and hors d’oeuvres were provided. The food was amazingly yummy! My favorites were the fresh fruits and veggies. 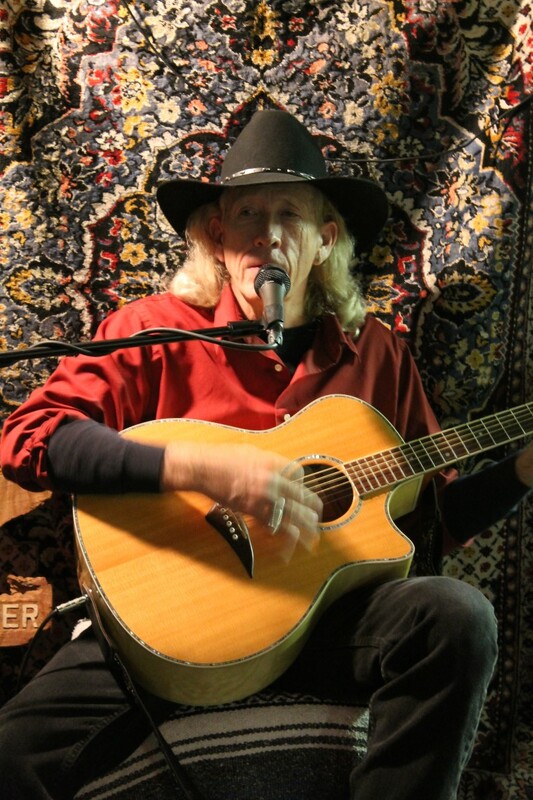 Live entertainment was also provided on the vessel throughout the twilight sail. I couldn’t have asked for a better evening cruise. It provided everything I wanted and more. The dark black water rippled and glistened with the reflection of the city lights on its surface. 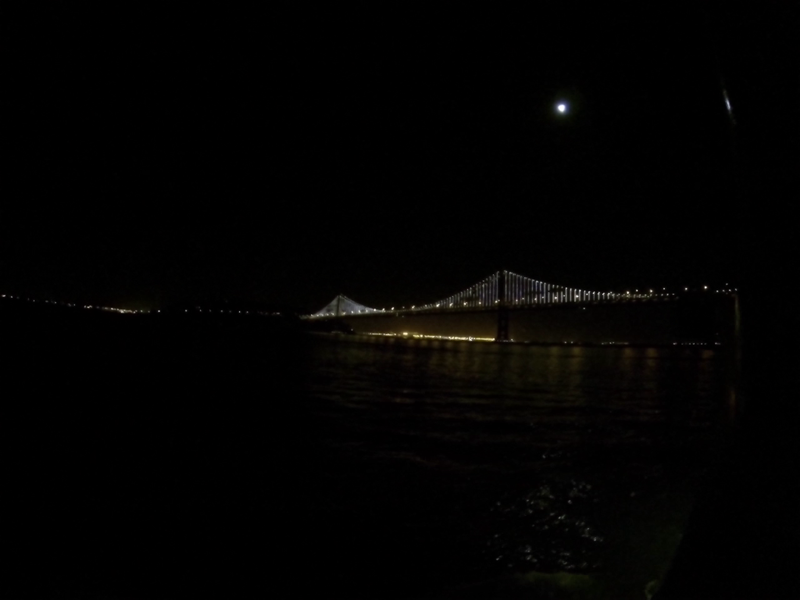 The water was surprisingly calm for a cool evening out on the San Francisco Bay. The ride was smooth and relaxing. 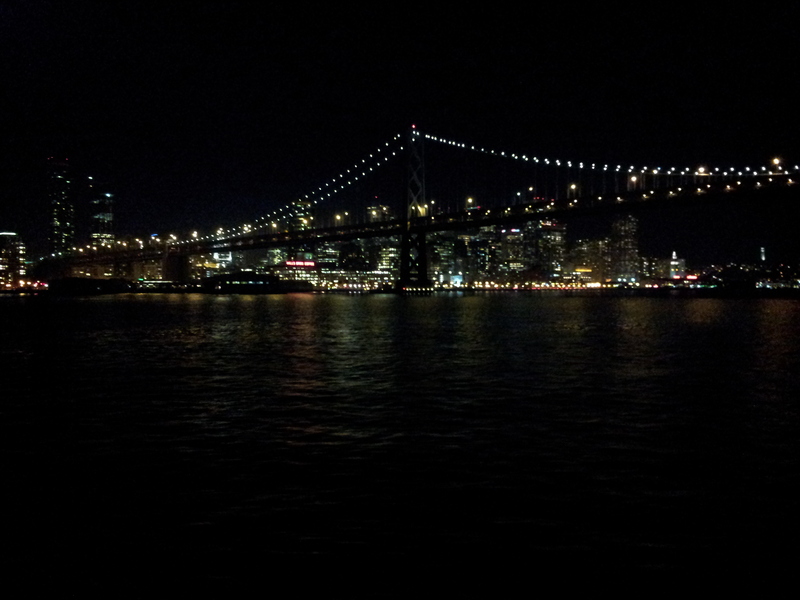 I’ve not done a night Bay cruise before, but the city is just as beautiful at night as it is during the day. Seeing the city at night gave me a different perspective of the normally bustling city. I could have sailed all evening listening to the songs sang on the lower deck. 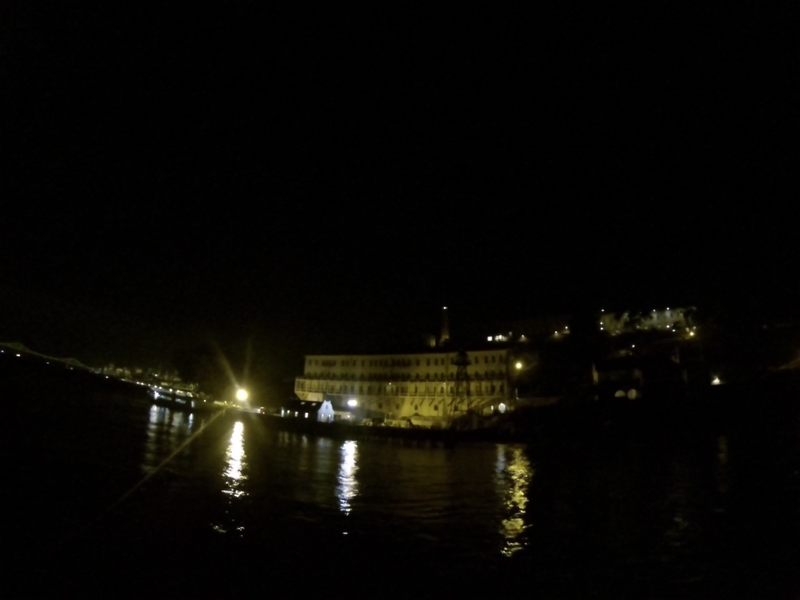 If sailing at night is not your preference then choose any one of their many day cruises. The options are endless. The staff were friendly, accommodating, and knowledgeable. Nothing but smiles were had on this boat. Throughout the 2 hour tour I was provided with information about the Golden Gate Bridge, Alcatraz, and AT&T Park. 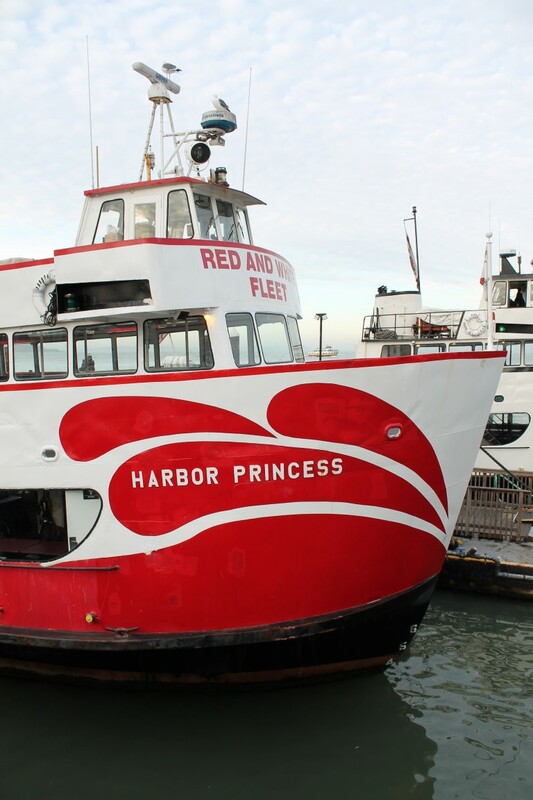 This twilight cruise is the perfect evening city tour of the San Francisco Bay area. What better way to spend an evening on a brisk evening in San Francisco (especially since it gets dark now at 4:30)? 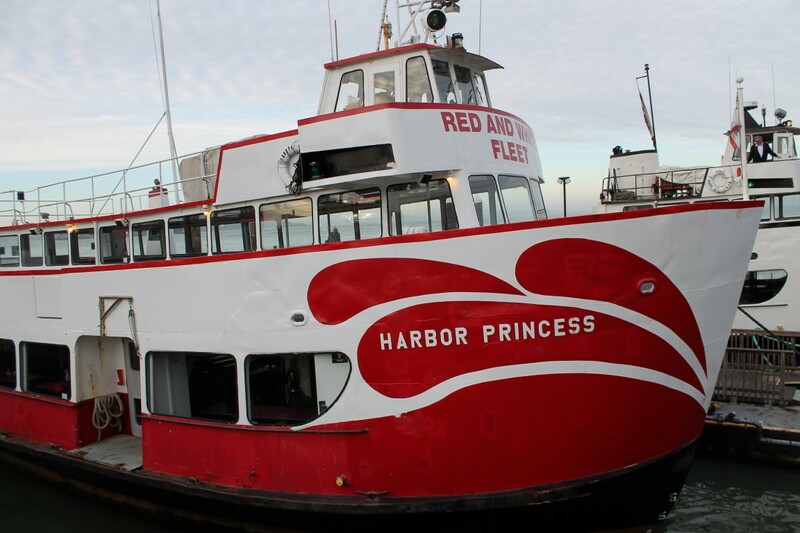 Bundle up and step aboard any of the Red and White Fleet vessels. Sit back and enjoy the wind in your hair, you’re in for a treat. Do you prefer the ocean by day or night? *Media coverage for Red and White Fleet. 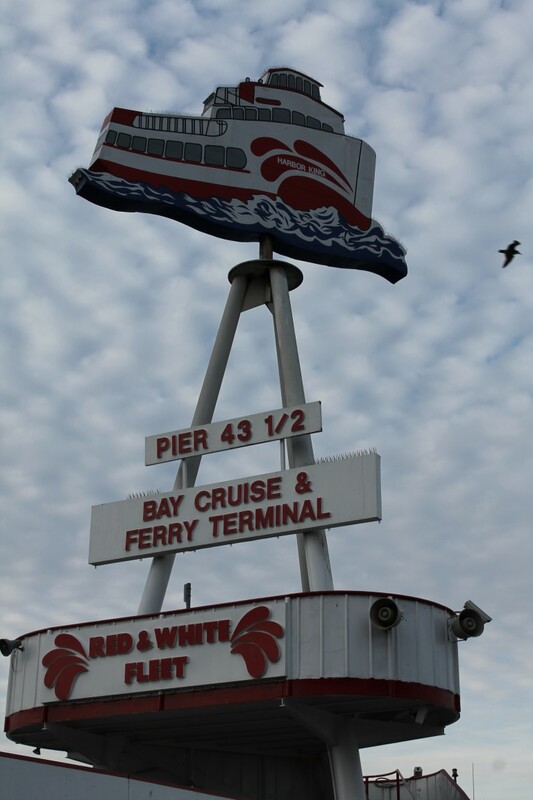 This entry was posted in California, Reviews, travel, USA and tagged Boat, California, experiences, ocean, Red & White Fleet, San Francisco, Travel, Turquoise Compass, Twilight Cruise, USA by Turquoise Compass. Bookmark the permalink. 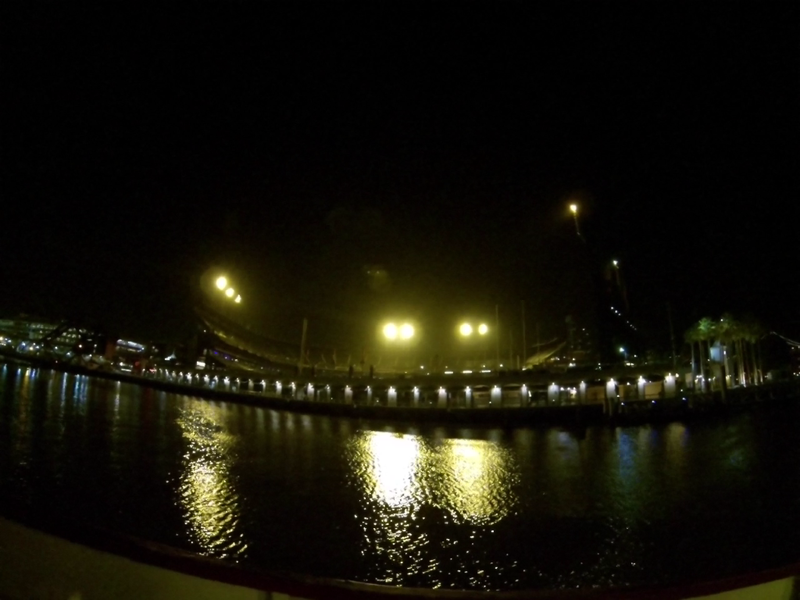 Great photos of you night cruise!!! San Francisco is really a charming city and I wish I can came back soon there!!! It really is. It is just as beautiful at night as it is in the day! There is always something to do regardless of the time of day or season. Sounds like you had a wonderful time in San Francisco. It is one my favorite cities. Yes, I really did. It is now one of my favorite US cities. I will never run out of things to do in San Francisco. Yes indeed, it might be time for you to try one again. It was fun and the perfect evening activity. Where did you do one before? Newport Harbor, Southern California. It was awesome, and now that I remember that one, it hasn’t been that long ago. I’d also done one in San Diego … fuzzy memory of that one. Oh those would be great destinations to do a night cruise. I guess you like them so much it feels like it has been longer than it has. Thanks so much! It was really fun!